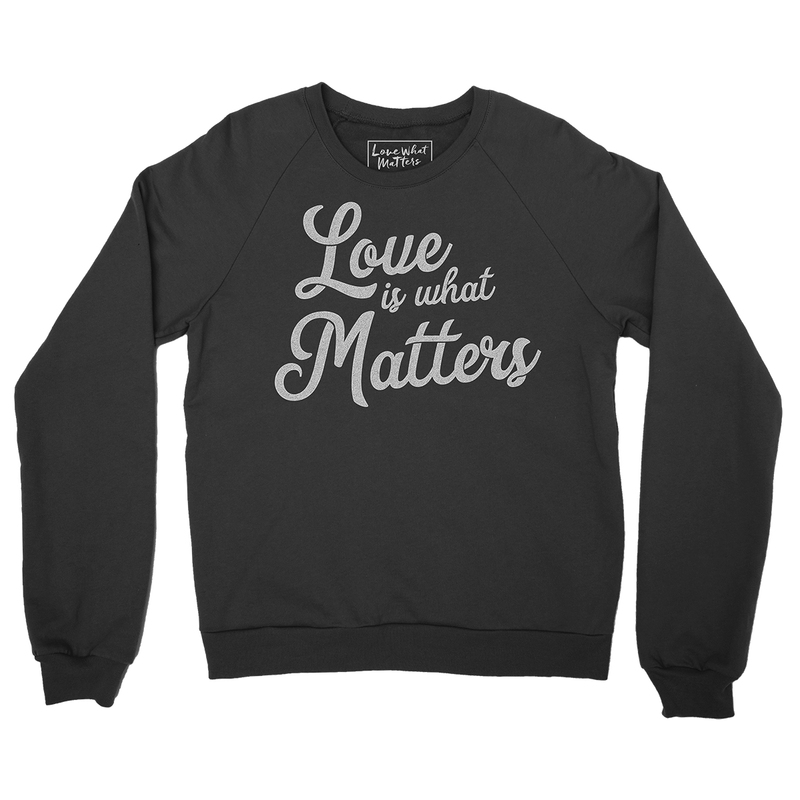 It makes me feel good to support 'Love What Matters' products because its so nice that they promote a positive message in such a hostile world! Sweatshirt was good quality. I ordered 2X and it's roomy—which is what I wanted for winter, so I could comfortably fit a bright turtleneck under it (for those cold winter days), and scrunch up the sleeves. Makes me feel warm on the outside—but also and more importantly, on the INSIDE! 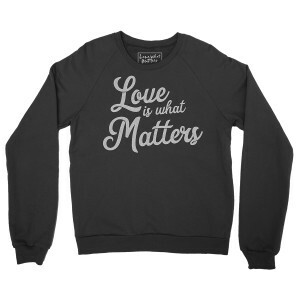 Keep up the great work, Love What Matters!